They can be used either alone, or in combination in the one Grabba unit, providing the user with a comprehensive solution for almost every application. We have years of experience in the use and manufacture of Card readers. We offer only the technologies to ensure that your customer cards are read quickly, easily and reliably. Grabba Smartcard reader will read and write to the card microcontroller with T=0 (character-level transmission protocol, defined in ISO/IEC 7816-3) and T=1 (block-level transmission protocol, defined in ISO/IEC 7816-3) protocol. It is compatible with popular Smartcards such as those from Siemens, ATmel and STMicroelectronics. Our Smartcard reader has a solid insertion system, so when the card is inserted it is held by the reader, preventing the card from being accidentally disconnected. Smartcard contacts ISO 8 Position Sliding contacts Minimum 10,000 cycles ESD protection –>10KV Auto Deactivation of card contacts upon card removal. The advanced multitrack reading head incorporated in the Grabba Magnetic Stripe reader will read 1, 2 or 3 track cards even if they are old or badly damaged. The Grabba Magnetic Stripe reader is extremely fast and reliable with a life expectancy of 1,000,000 passes. 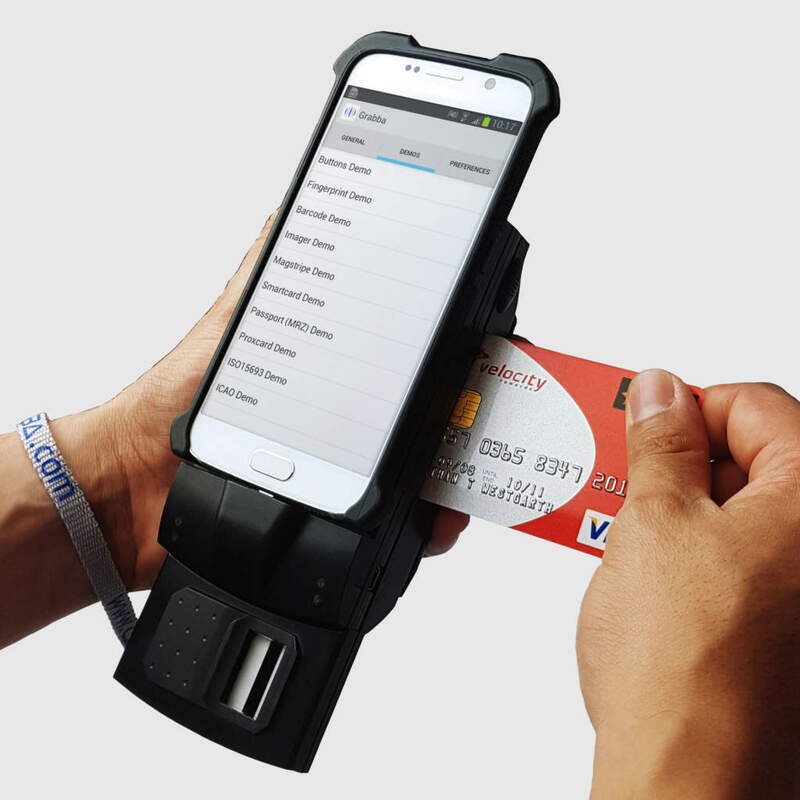 Our Magnetic Stripe reader can read cards compliant with ISO7810, 7811, ANSI and AAMVA. Our technology even allows to read proprietary encoded format cards thanks to our Grabba SDK. A fully tailored hardware solution. We’re driven by a passion for R&D and implementing solutions that enable our customers to work more efficiently and accurately across every industry.